Don't see the badge your looking for? Create your own by going to our Custom Side Badges page. Stop being harassed by store owners every time you bring in your fellow service dog with you! These patches are a must to make your life as simple as possible, and it keeps you from explaining the same thing over and over hundreds of times a year, that your dog helps you, and you are within the law to bring him with you. Using an EzyDog Convert Harness also makes your life easier with your service dog, because the vest itself contains a soft pull handle for maximum control and dog manageability in stressful situations. 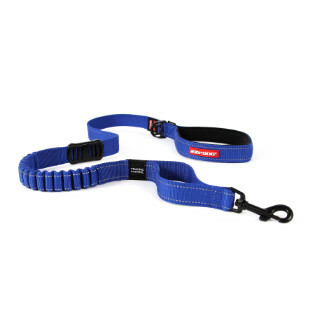 Use the Convert Harness and badge as a safe and durable police dog harness and badge system. Make your dog an individual. You can put cute expressions on these badges for dog vests such as 'Princess' or 'Lover.' Maybe you have a dog so large, that people act afraid of her. Well you can simply add an expression to give your dog a better public relations profile! Make your dog a great doggy ambassador and add a badge! Exactly what I needed and was just as advertised. Excellent quality. I believe my dog enjoys them also. We've used both the "Service Dog" and "Adopt Me" Badges on the large harness, and the quality of these products is excellent. The harness adjusts beautifully and is comfortable for the dog, and the patches go on and off easily and are high quality, very durable. We have no complaints, thank you! We got both our dogs these harnesses which are great for walking (especially when they spot rabbits and we don't want them choking themselves with collars) but then my husband wanted a way to tell the 2 different sized harnesses apart, so we got the side badges...one Tough Guy for our tough guy and one Lover for our lover. Great harnesses and great badges. These side badges are perfect when training your dog. 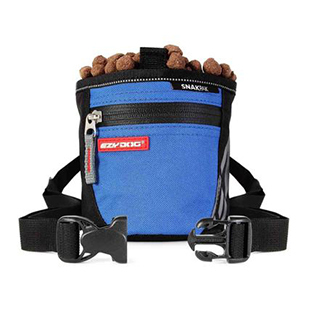 They fit well and are great when you take your dog into the stores, it identifies my dog and his purpose. Being able to change the badges as my dog progresses in training is a super idea. Thank you EzyDog! Its a great way to dress up our terriers convert harness with a message. If the little guy could read, he would love them too. It looks great and fits perfect on the vest. Smooth feel and easy to clean. Great visibility and good price. Was needing changeable badges as our Service dog in training graduates to Service dog. Helps with just having one vest for her. Well made and the strong velcro holds them in place yet it is easy to change out.